Those who work in the gig economy— from rideshare drivers to Postmates couriers to pet sitters to truck drivers— know that while their anti-9-5 lifestyle is undeniably freeing, the tax burden that comes with that freedom makes for a pretty frustrating ordeal. But, the truth is, taxes don’t have to be such a headache for gig economy workers. In fact, by taking the right deductions, you can actually save thousands of dollars each year, lightening your tax load to a completely manageable amount. The mileage deduction is one of the most valuable deductions that gig economy workers can take. By simply tracking your business mileage, you can save more than $10 per 20 business miles tracked. One helpful tool for tracking business mileage (and saving money) is Hurdlr’s built-in mileage tracker. 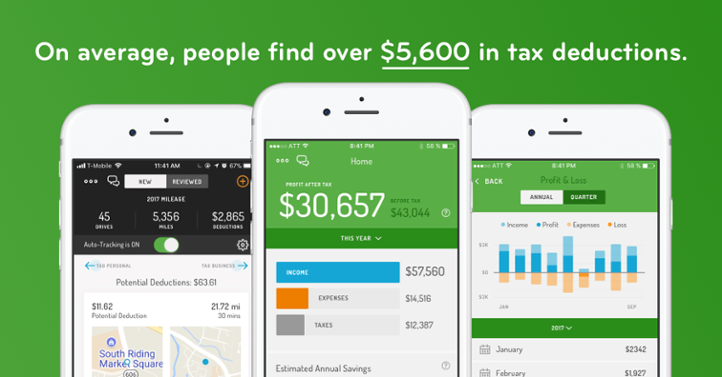 The app helps gig economy workers track their mileage, so they can maximize their deductions when tax time rolls around. Wondering how the mileage deduction can work for you? Consider the case of Uber driver, Richard Jones. By tracking his mileage with Hurdlr, Richard has maximized his deductions, saving him over $4,000 on his taxes. Those are some pretty serious savings! While you may not be inclined to save your paper receipts for business supplies, car washes, or new tires for your bicycle (or whatever business expense you have for your particular type of gigging), the expense deduction offers a major incentive to finally get those receipts in order. Deductible expenses are another excellent way that gig economy workers can save thousands on their taxes. Tracking business expenses allow workers to claim these valuable deductions and ultimately save money on their taxes. Using Hurdlr, workers can simply link their credit card to the app and it will automatically capture all of their expenses, so they never miss a deduction. For example, Amy Miller is a Handy cleaner and uses Hurdlr to track her business expenses. By using the app, Amy can keep all of her expenses and receipts for her cleaning supplies in one place, so she can easily export a report for her accountant. While receipt-tracking isn’t the most fun thing in the world, the expense deduction makes your efforts worthwhile. When you’re self-employed, it’s critical to know how much to set aside for taxes. In order to avoid penalties, freelancers and other gig economy workers should make accurate quarterly tax payments each quarter. Of course, remembering to pay quarterly is easier said than done! But with Hurdlr’s tax estimates, which can help you know when and how much to pay for your quarterly taxes, you’ll never forget to pay your quarterly taxes again. Interested in learning how Hurdlr can help you save thousands on your taxes?